As if we didn´t have enough to look forward to already this weekend with all the celebrations of la Fiesta de La Mercè, Barcelona has decided to open the doors to some of the most interesting museums in the city – for free! On Saturday 24th September you will be able to see many of Barcelona´s most amazing exhibitions completely free of charge. From art to science, history to architecture, there will be something for everyone. As well as exhibitions and displays, some of the venues will also provide family activities, workshops and guided tours for those who want to make the most of this fantastic opportunity! CosmoC aixa is essentially a museum of science which has exhibitions ranging from a planetarium to a ´flooded forest´ which lets you experience over 1000 square metres of Amazon rainforest. This museum is free to visitors on both Saturday 24th September and Sunday 25th September as it celebrates its 7th anniversary. Where: C/ Teodor Roviralta – Take the Ferrocaril (FGC) Line 7 from Plaça Catalunya to Av. del Tibidabo. You can either walk 800 metres or take bus 196 one stop. The MACBA (Museu d’Art Contemporani de Barcelona) is centrally located – just a short stroll for anyone renting a Ramblas apartment in Barcelona – and perfect for those who don´t want to stray too far out of Barcelona centre. This Saturday from 10am to 2pm, MACBA is offering a free workshop for all ages where visitors can get an insight into the creations of unique artist Àngels Ribé. 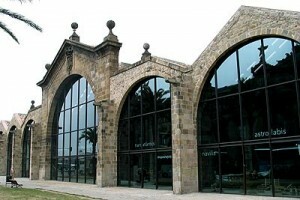 CCCB (Centre de Cultura Contemporània de Barcelona) is another museum which is unmissbale this weekend as it invites guests to see the remarkable work of photojournalist Josep Brangulí. Experience Barcelona as it was between 1909 and 1945 with 300 photographs based on various themes such as war, ship-building and schools. The Museu Maritím de Barcelona will also be offering free admission w here guests can see spectacular ocean-related exhibitions, including a clever display of sea-life creatures constructed from recyclable materials. Situated close to the beach apartments in Barcelona and not too far from Las Ramblas, it is a great choice for anyone who wants to stay close to the sea air this weekend. We have a contest! Win a free stay in Barcelona! 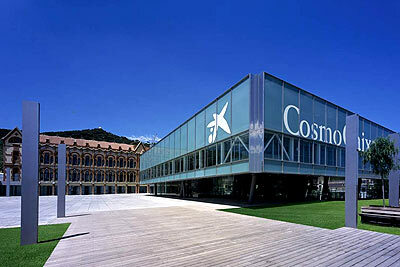 This entry was posted in Events, Home and tagged cccb barcelona, CosmoCaixa, free, macba, Museu Maritim, Museum. Bookmark the permalink.